This is especially true for estate agents. Whereas some businesses may have their sights set on a global demographic, but estate agents will need to tailor their goals accordingly. There’s also the business model to consider. Some estate agents may be offering a brick and mortar business, but those offering an online-only equivalent needs to ensure that the SEO practices being used are up to date. It’s also important to ensure that the approach being used doesn’t fall foul of Google. There have been a series of methods used in the past that has seen search engines such as Google introduce a series of algorithm updates to help ensure only relevant content is displayed. As such, trying to “manipulate” Google into showing your business doesn’t bode well for either party. Effective SEO can take time, but it will put the business in a much better online situation than using more nefarious practices. Making the most out of SEO doesn’t rely on one task alone, but rather several working in harmony. Some tasks may need to stand alone, whereas others may overlap. Therefore, it’s important that the right approach is taken in the first instance. The following is an example of some of the reasons why SEO is a must for online estate agents. The online estate agent market can be a competitive one, which is why brand awareness can be useful. There are various ways of getting your brands recognised online. Some may choose to offer valuable content on their blog, while others may take to social networks to answer customer queries. An SEO expert may advise keeping social networks active, as this will help with the overall SEO. Although not a determining ranking factor, those with an active social media audience often fare well when it comes to search results. 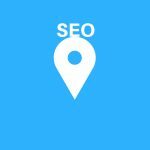 Although some estate agents may have offices in the high street, those operating solely online will need to ensure that SEO efforts are up to scratch, purely because of the nature of the business. 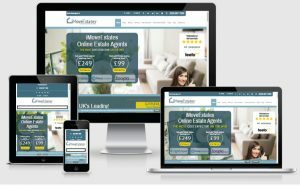 Estate agents based in the high street cab take advantage of passing trade, but this opportunity isn’t available to online services, so SEO will be needed so the business can rank accordingly within websites. Although paying for ads is a good way of achieving traffic in the short-term, an online estate agent should be looking to cement its online standing using legitimate SEO practices. Just because an estate agent us based online doesn’t mean that local SEO is any less important. In fact, given the nature of the business, it can be one of the most important aspects. 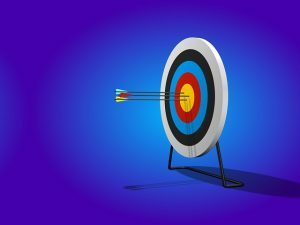 The number of properties an online estate agent will have access to will vary, as well the demographic it’s targeting. Local SEO allows online estate agents to tailor each listing so it can be found by the right people. It’s not uncommon for businesses to want to be at the top of search results, but it’s important that the website of an online estate agent is optimised in the right way. Being number one on Google isn’t a one-time placement, it happens when a user enters the relevant search terms. Rather than try and rank for every available keyword, an online estate agent must look at the search queries relevant to them and use these keywords moving forward. As well as using local SEO in the search results, keywords can also be used in informative blog content. For example, if there have been several queries asking what kind of factors need to be considered when moving to a new house, then why not answer their question via a blog post that makes use of the keywords being searched. Another aspect an online estate agent can use is the fact that users could potentially save money given that the business doesn’t have to worry about paying rent on a series of different offices around the country. Little factors such as these can go a long way to paint a bigger picture of the company ethos and how customers can benefit using its services. SEO for online estate agents not only allows an online estate agent to establish its goals but also meet them. When SEO is being undertaken, it’s not uncommon for some to try and follow the success of others. Although it’s a good idea to understand the competition, it’s also important to think outside of the box when possible, and this only possible with SEO. Search queries tell a lot about an online audience and not every user will be focused on the same benefits. In this instance, it will be worthwhile focusing as to whether there are any aspects of the business that set it apart from others. Maybe it’s a unique user-experience? Or maybe your pioneers in customer service? Whatever quality sets you apart, be sure to make it stand out to potential tenants and home buyers. A business such as an estate agent means that duplicate pages are to be expected in some instances, especially when it comes to listings. Although duplicate content may not be too problematic on the main website, it should still be updated to ensure a better user experience. 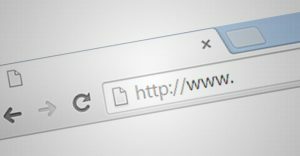 In some instances, you may want to use content and listing details for another site, be it another domain you own, or a company you’re working in partnership with. Unfortunately, this can be problematic when trying to optimise your website, as Google will simply look at one as duplicate content, and simply ignore it when it comes to ranking. This means that the work carried out on another domain can be counter-productive. It’s understandable that content will exist on other websites that are similar, but from an SEO perspective, this content should be different and not “spun” to introduce different synonym as this is another thing that Google looks unfavourably on. This can be a time-consuming endeavour in the fast-paced world of real estate, which is why money chooses an SEO professional to undertake the tasks. For the most part, an online estate agent will be using media to give the website visitor an overview of the property. Some online estate agents may feel that some professional pictures will be enough, but it’s all about enriching the user experience. For example, some may offer a video walk-through offering a more immersive view of the tour. As well as increasing the potential for viewing, it also ensures that those visiting your website are staying for longer, which can yield other SEO benefits. Evidently, a website will be one of the essentials when running an online business, but there are other tasks that need to be considered. As well as using the website to view a property, others will be viewing properties from other platforms. A good example of this can be the business pages found on Facebook. Although not an integral platform, it does allow for more referrals, which in turn means more website traffic. Of course, there will be other social networks worthy of your time. For example, Instagram can be great for showcasing pictures of properties, but it’s important that all the referral traffic is directed to a page that’s primed for conversions. A user met with a series of 404 errors and blank pages will often abandon their visit, so it’s important to ensure that all marketing funnels are managed in the right way. It’s easy to assume that the task of SEO for Online Estate Agents is a relatively simple one, and in the initial stages, it can be. However, as the company expands so too do the SEO tasks that need to be undertaken, which is why it makes sense to employ the services of an SEO professional SEO Liquido understands that not every online business will be using the same approach, and will ensure that a tailored approach is out in place for those looking to run an online estate agent. An example of what’s possible can be seen at iMoveEstates. As you can see there is a clean layout, solid content and is easy-to-navigate. If you’re looking to take your business to the next level online but are looking for some guidance, then why not get in touch with SEO Liquido today to discuss your project in more detail.